The most advanced connectivity solution available for laboratory instrumentation. 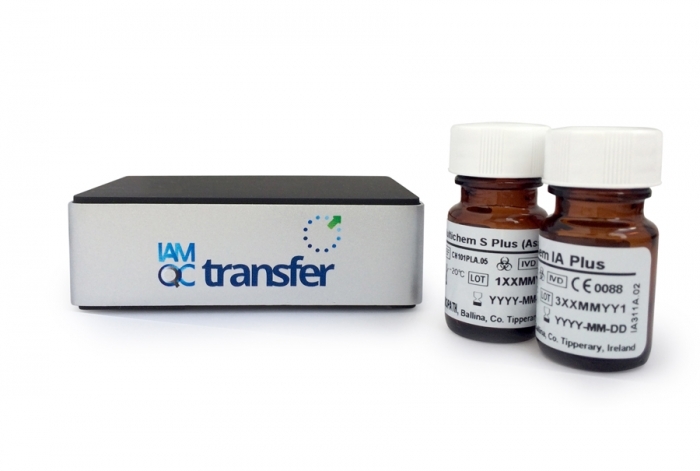 IAMQC Transfer is a connectivity device that can communicate with Laboratory Information Systems (LIS), Middleware, automated instrumentation and Point Of Care platforms. Through the use of our proprietary drivers and a single board computer device, IAMQC Transfer processes and communicates data from your system to any one of our powerful IAMQC software packages; IAMQC Peer, IAMQC Daily, IAMQC Expert or IAMQC Proficiency Testing module. By combining software and hardware elements, we can eliminate the requirement for additional PCs or servers. A plug-and-play set up, combined with over 200 available connectivity options ensure an un-matched level of flexibility – all within an incredibly small, seamless enclosure. Automated data collection. Easy to Implement. Introducing IAMQC Transfer in to your laboratory will drive efficiency through automation, whilst increasing quality by transitioning away from manual entry programs. 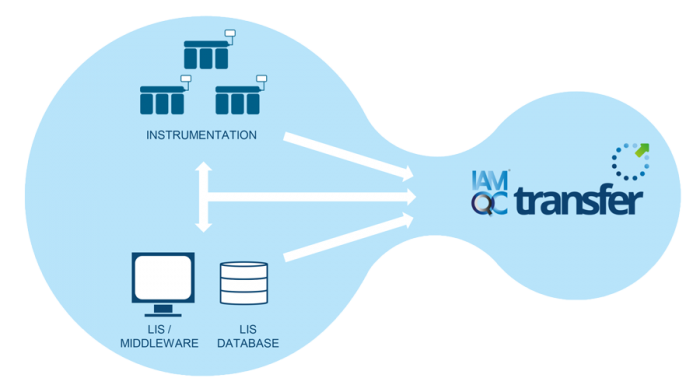 IAMQC Transfer can function as a uni-directional interface to process QC files and data streams of all formats. However, in addition to receiving the results, IAMQC Transfer can also work as a bi-directional interface, where it will communicate back to the instrument, LIS or middleware. To satisfy the requirements of laboratories of all sizes and configurations, Technopath Clinical Diagnostics introduces IAMQC Transfer, a next-generation informatic solution. More than just an interface to IAMQC Software, IAMQC Transfer is available to purchase as a stand-alone connectivity device for your software program. By providing a comprehensive solution that can work with multiple information systems, Technopath Clinical Diagnostics’ IAMQC Transfer can automate your data collection process. Contact us at qcsoftware@technopathcd.com for more information. For more information on ordering IAMQC™ or to request a demo, please contact iamqcsupport@technopathcd.com.